Komera Connect is a direct, personal and participative approach to supporting girls’ education & leadership in Rwanda! Chance to meet your scholar in person by joining our annual trip to Rwanda! 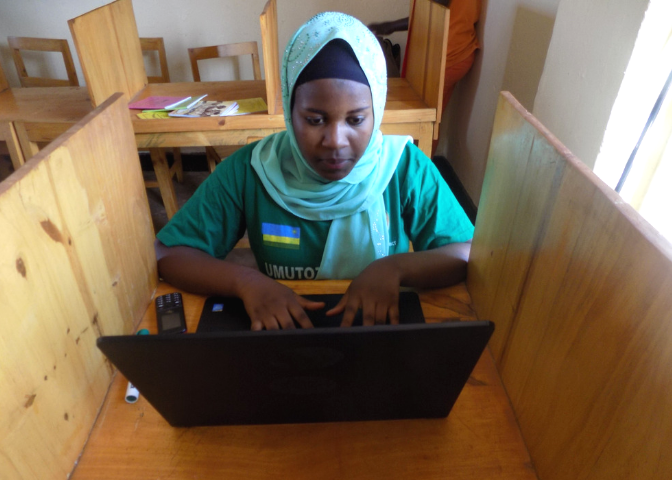 Don't just make a donation, make a personal connection with a scholar in Rwanda! 100% of donations to the Komera Sponsorship Program go directly to fund tuition and materials for young women to receive transformational educational opportunities! Develop a cross-cultural connection with a young woman in the Komera program through face-to-face Skype calls, letters, photos, correspondence and more! Sponsor a scholar for as little as $1.40/day and make a difference in the life of a young woman! Full tuition scholarship as above plus all of her personal and scholastic materials for the school year including: books, paper, pens, a backpack, calculator, soap, lotion, towels, sanitary napkins, toiletry items, clothing, socks, shoes and bedding and everything she needs to succeed! Kwizera members give monthly to fund our operating administrative budget, providing critical and reliable support, allowing Komera unlimited potential to educate and inspire Rwanda’s female leaders.